Have you ever thought about how a calamity would directly affect your family? Like natural disasters, disease outbreak, financial collapse or other events that would dramatically affect your lives. Maybe you’ve even bought some items to prepare of any possible situations, like extra flashlights, food storage, first aid kit and so forth. 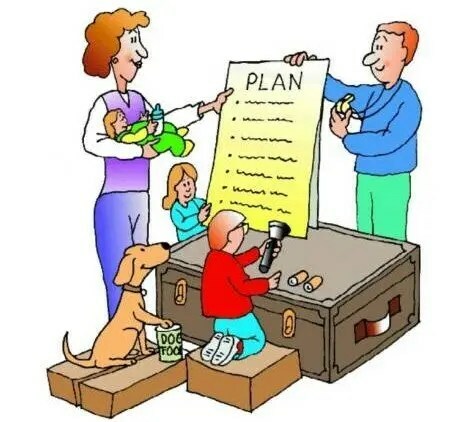 One of the MOST CRUCIAL steps in being prepared for any catastrophe is to have a discussion as a family so everyone knows the plan and what to do. When there is no discussion beforehand, there is more panic and fear when something does happen. And often no way of knowing what to do, especially for kids. A little girl comes home from school off the bus and finds that the front door of her home is locked. There is no way for her to get in the home and she has no idea where her mother is, and she is too young to have her own cell phone. Because her parents never talked to her about what to do in this kind of situation, she has no option but to make up her own survival plan. Her plan consists of crying and panicking and running around her front yard screaming. This does get the attention of an unleashed neighbor dog who runs over to see what all the fuss is about. The little girl is afraid of the dog and looks for shelter, and ends up climbing into a half full trash can. Finally, the mother returns home after being delayed at the grocery store and frantically runs around calling for her daughter and finds her sobbing in the trash can. In this situation, which was based on a true event, the little girl ended up with no physical harm to her, but the panic and crying could have been avoided if there had been a conversation beforehand of what to do when no one is home. So, without further ado, we will go right into HOW to have these conversations and share some really great TIPS on HOW to talk about these things with your children and teenagers. What to do AFTER an event. Go over what each member of the household should specifically do after a disaster or event. Be very specific with each child and have the plan written down. Example, in the event of an earthquake during the day when kids are at school and parents are at work: John (oldest child in High school) – Walk home using designated route, check to see if everything at home is okay – home structure okay. Turn off utilities if needed. Stay home until mom and dad get home. If phone is working, call the out-of-state contact person to report that you are okay and at home. Sue (child in grade school) – stay at school until mom or dad comes to get you. Have your pack and items ready for when dad comes to get you. Dad – Grab emergency kit from vehicle and walk (if driving isn’t an option) to elementary school, pick up kids and walk home all on the designated route. Check home for stability and turn off utilities if needed. Call designated out-of-state contact to report that you are okay and at home. Etc. Establish an out of area contact. Make sure each family members knows who that contact is, and their contact information. Type it on a card to carry with them, have it in their cell phone and have them memorize the number if you can. This is very important because during a large disaster, like an earthquake, calling inside the area affected is usually impossible for the first hours or days. If you can get a hold of someone outside of the area and even in another state to let them know you are okay, they can also have that information for other family members who call to check in. Have assigned routes that each family member would take from their work or school to travel home. Print out the route, go over it, and practice walking that route. If you had to leave your home to meet your family member, you could walk along the designated route to ensure you would find them if they have already left to come home. When you establish this route beforehand, you can determine what roads or areas would most likely be the safest to travel. Designate a meeting area outside of the neighborhood. If your neighborhood becomes quarantined off or you must be evacuated, have a backup designated place to meet that is outside of the immediate neighborhood, yet still close. (Like ½ to ¾ mile away from home). Make sure everyone in the family is familiar with this second location, and practice walking there as a family to get it into muscle memory. Imagine that you are home after an earthquake and waiting for your kids to follow the plan of walking home, and then the police show up at your door saying the neighborhood must be evacuated immediately due to a gas leak. You know the kids are coming home so you don’t want to leave. But you have a designated meeting area just outside your neighborhood. So, when your kids see that the neighborhood is quarantined off, they will know to go the other meeting area just outside your neighborhood. They will know because this has been discussed previously and even practiced. Create a Message Center Area. If you must leave your home after a disaster, and you have family members who will need to know where you went, you might feel tempted to write messages on your front door or garage door. Some people have used markers or even paint to write on their front door or garage door with the information of where they went so their family will know. This is out of desperation to communicate because it is in a crisis situation. Yet these open messages are an invitation for people to loot your home, which has happened. Instead, create an area where you put messages in emergency situations. Like an old paint can under the porch, or in a metal box under a larger rock in back, etc. Keep paper and pens in there. Once every few weeks, have a practice time where you put notes or treats in that message center to see if your kids are checking. Get the family used to it and remembering that it is there. Then also let extended family know to check your message center if you aren’t home in a disaster event and they were dropping by. Imagine an aunt is close by after a disaster and comes to your home for shelter but finds you are gone. If they know about the message center, they can look and learn where you are so they can join you, or you could leave a key there so they could have access to your home for shelter. Make plans on how to communicate with extended family. Whatever way of communicating you decide to use: CB, short wave radios, etc – practice using it. See how it would function in action. Preserve the bubble (of safety). You don’t want to be overly blunt and purposefully make it scary. Then go into detail in answering the questions of how we could help. This allows your child to think what they would do, and puts them in a position of helping instead of being helpless. 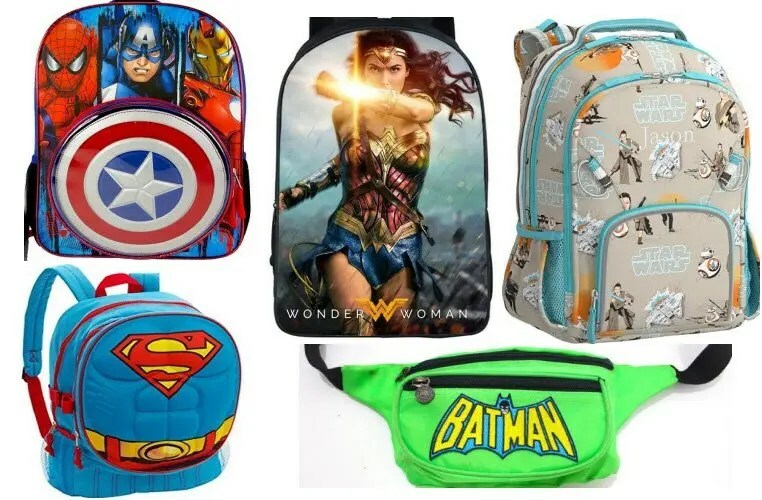 As you talk about possible scenarios and ways to help, then you can talk about being prepared by having a preparedness pack – superhero themed if that helps. Let them fill it themselves with what they feel they might need to help. Even if it’s filled with band aids, flashlight, tissue and a couple toys – Whatever to help them feel empowered. They might even want to put an extra change of clothes and or shoes in there. You can carry their needed 72-hour kit items with your pack so you will still have all their essentials. Build their confidence instead of anxiety with their own emergency pack. Earthquake: Drop. Cover. Hold on. Tornado: Get in. Get Down. Cover Up. Lightening: When You See a Flash, Dash (inside)! Car Heat Safety: Look Before You Lock! Practice Fire Escapes – Have household drills so the kids know how to get out of the house, how to stay low below the smoke, etc. Play the game “What would you do if…” This is a very effective game to play that helps get your children preparedness minded. See the instructions on how to play and some sample questions to ask in our blog post: Preparing Your Kids for Disasters and Events of These Last Days. Give Intent. Remember: “The function of Leadership (or Parenthood) is to produce more leaders, not more followers.” – Ralph Nader. So basically, if you want your teenager to think through situations for themselves, then don’t give them orders, give them INTENT. The psychological ownership shifts to them. Ask questions like “What do you think we should do in a disaster?” Or “How can we keep our home be safe in an earthquake?” Instead of telling them every basic thing to do. Let them get involved in planning and organizing food storage. One teenager used a bar code app and but bar codes on all of their food storage items completely organizing her family’s food storage and inventory, to the amazement of her parents. Have them help make lists and build larger emergency packs. They may think of things that you never thought of. Let your teenager help plan family drills at home for various disasters that could happen. Let them help run the drill and talk about how your family could be more prepared. Let them help create and pack a Car Emergency Kit. It has been suggested to keep your comprehensive 72-hour kits in your car so if you are at work or driving during a disaster, you will have it with you. Then if you need to leave your car, you will have your pack with you as you travel. Consider also, keeping an emergency potty in your car for it you need that while away from home. (Note, if you do have your 72-hour kits in your car, you will need to rotate your food in it more often due to the greater fluctuation of temperatures). For an inventory list and visuals, see our post: Home Prep Projects: Car Emergency Kits. Some parents are fearful of what their child will see or experience – they are afraid of instilling fear, so they don’t even want their kids to learn about situations or how they can avoid them. It’s sad when parents are more concerned with protecting their children from scary noises than deadly situation. Don’t be afraid to do drills. It’s okay to experience a little anxiety in a drill when it’s safe, then to be unprepared for a truly harrowing disaster or event! Exposure in a safe way empowers our youth. Game: “What would you do if there was an earthquake while you were driving to school?” Go over scenarios of what they would do in certain situations like driving, at school, or at work. Practice walking routes home. Make it a family event and everyone walk the designated route. You could have a scavenger hunt along the way. Sign up / Learn basic First Aid and CERT. Empower your teenager by helping them learn these skills. Take the classes with them. Learn and practice where all the home utility shut offs are and how they are shut off. It’s important for them to know that shutting off the natural gas will require a professional to turn it back on – so it should only be shut off when there is an absolute threat or need. Learn self-defense. Sign up your daughters for a women’s empowerment class. It’s not about learning to fight, it’s about learning to defend themselves from an attacker. Do a song writing contest using safety phrases (below are some safety phrases). Have a family “disaster feast” with all your old 72-hour kit food to replace every 6 months. Take walks on assigned roads to meeting points. Have an emergency pack scavenger hunt to fill up your packs. Use utility shut offs locations as clues. Play “The Price is Right” to calculate food storage costs. Play calling tree phone tag or a game with clues & riddles to find people over the phone. 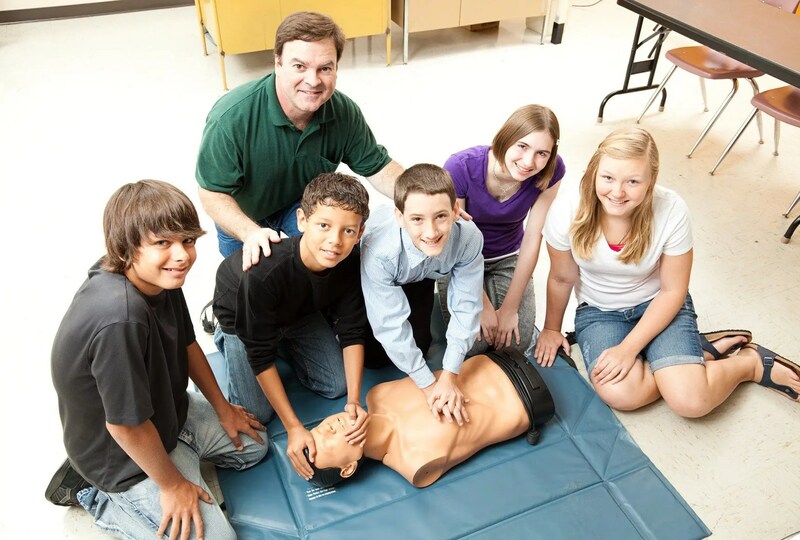 Take a CERT and/or first aid class as a family. 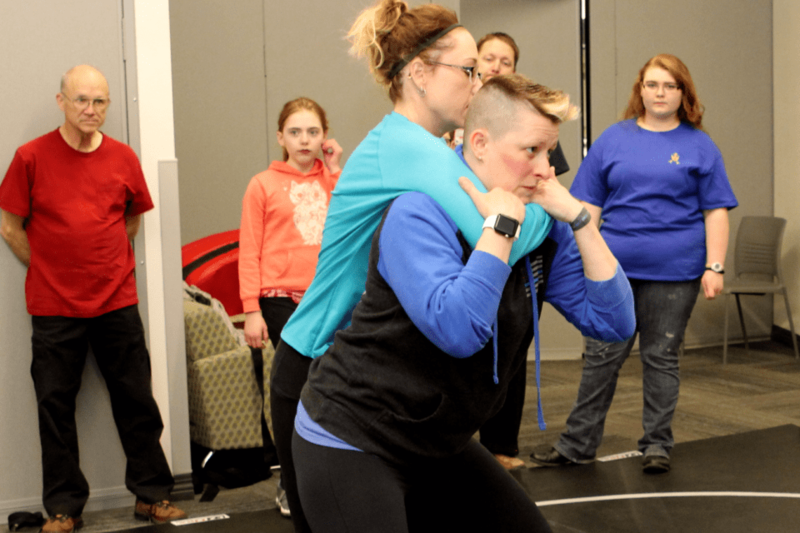 Take a self-defense class with your daughters. Take a Ham radio license class and expand your amateur radio knowledge. Go on hikes as a family to build your physical endurance and learn about safety outdoors. Have an “Off Grid” weekend camping in your backyard and practice everything without power, even your port-a-potty. To practice first aid knowledge, create trivia questions of what to do if you see certain symptoms and have a reward for the winner. Make a family video or lip sync on being prepared. Practice certain tasks while blindfolded: change your socks, make a sandwich, write a note – while under parental supervision, to see how well you could function if you couldn’t see. Have a meal contest with food storage items. Divide into two teams and see which team can make the most delicious meal. Make a campfire in your back yard (or while camping) and practice using a flint & steel to start the fire. 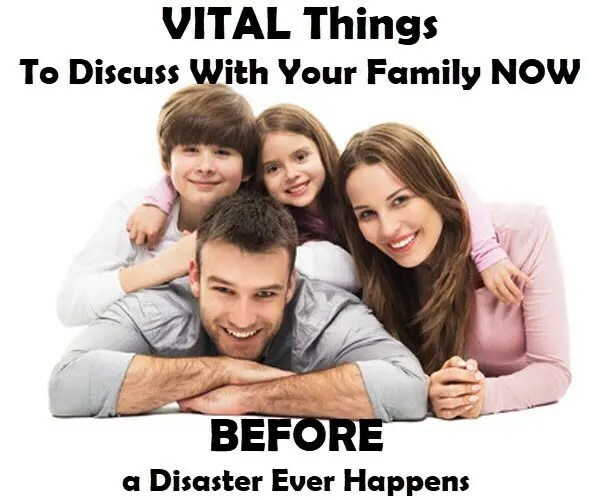 Remember, it’s great to have physical preparations for times of calamity, but it’s more important to have the communication with your family BEFOREHAND. Take the time to talk to your family and have some plans in place. This will bring a sense of security to your family if and when a catastrophe strikes.